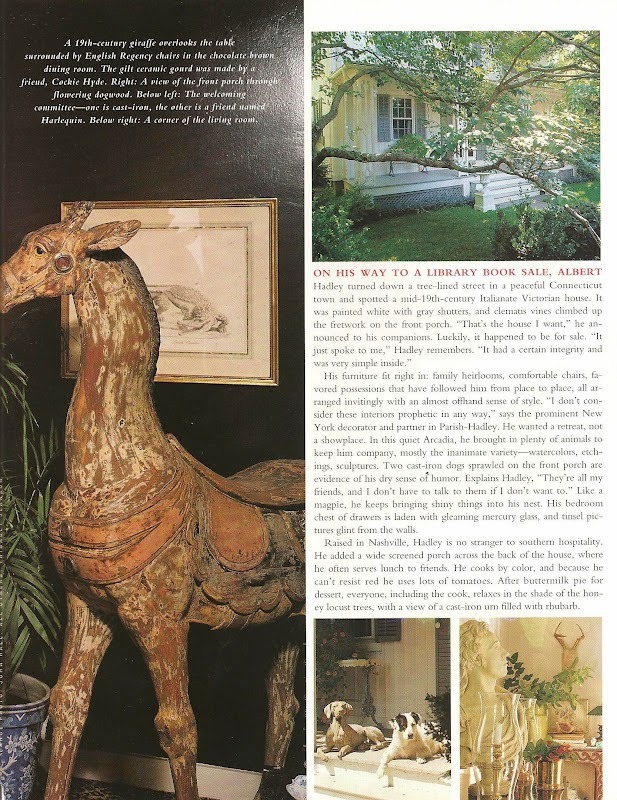 When I get the chance to be at home in Connecticut and visit family in the coastal hamlet of Southport, I tend to stop and take-in for a moment the 2 lovely residences that legendary American interior designer Albert Hadley lived in.... 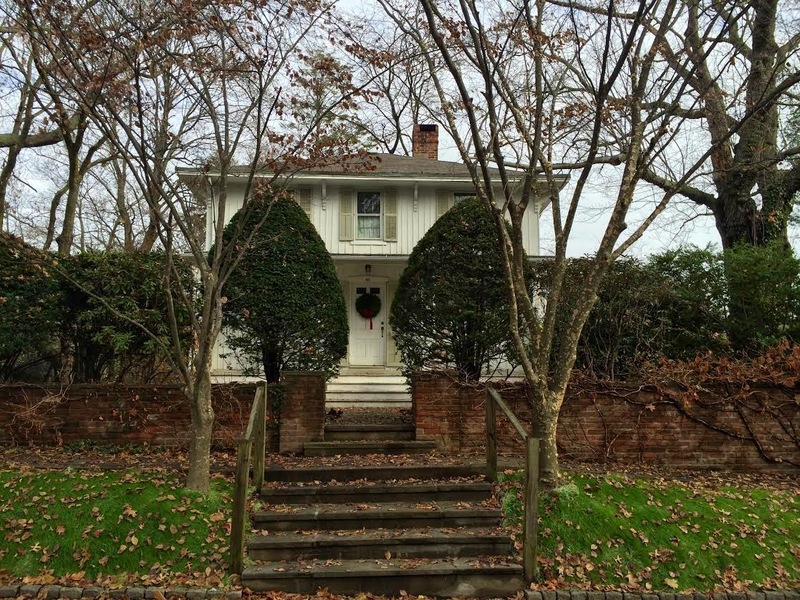 The photo above is of his first home (an image I took just last week), and he eventually moved into an even smaller jewel box, a stone's throw away & almost adjacent to the Southport Congregational Church. 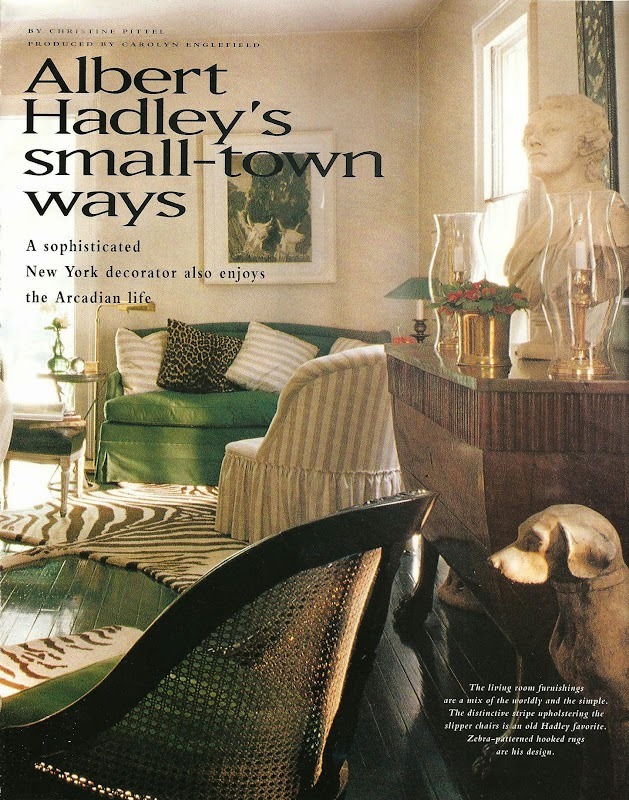 I assume living in such close proximity is what led Mr. Hadley to establish an annual Showhouse, Rooms With A View - featuring vignettes by noted designers - from which proceeds benefit this historic Church. 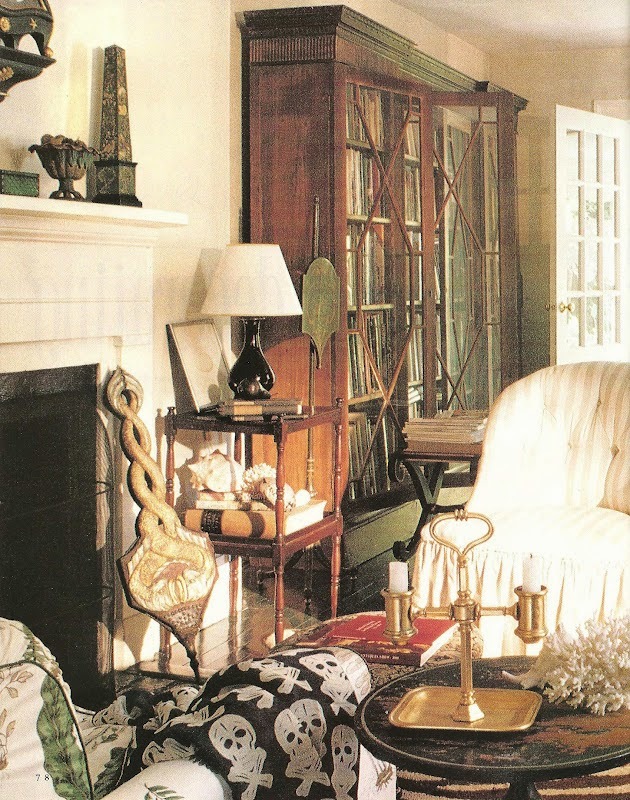 This year marked the Showhouse's 20th anniversary, which was held just about 3 weeks ago, with interior designer Thom Filicia serving as Honorary Chair of the event. 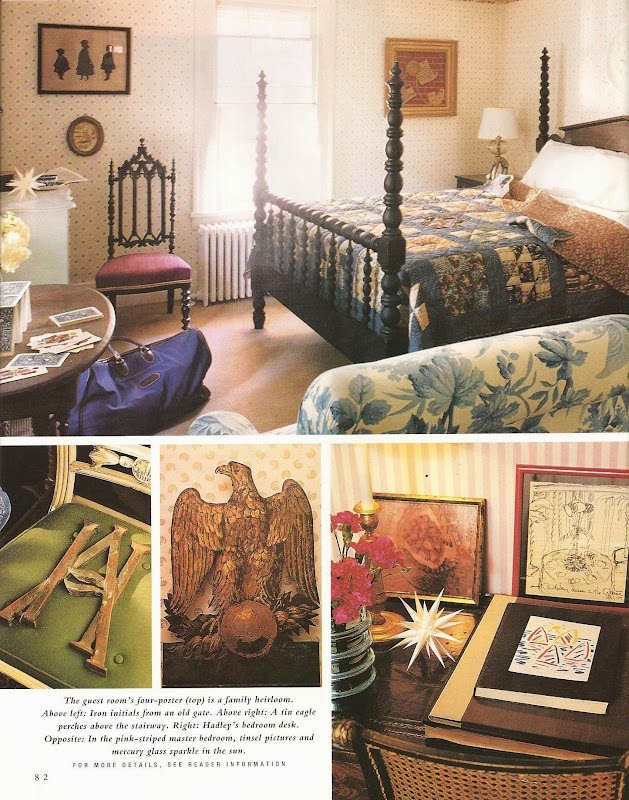 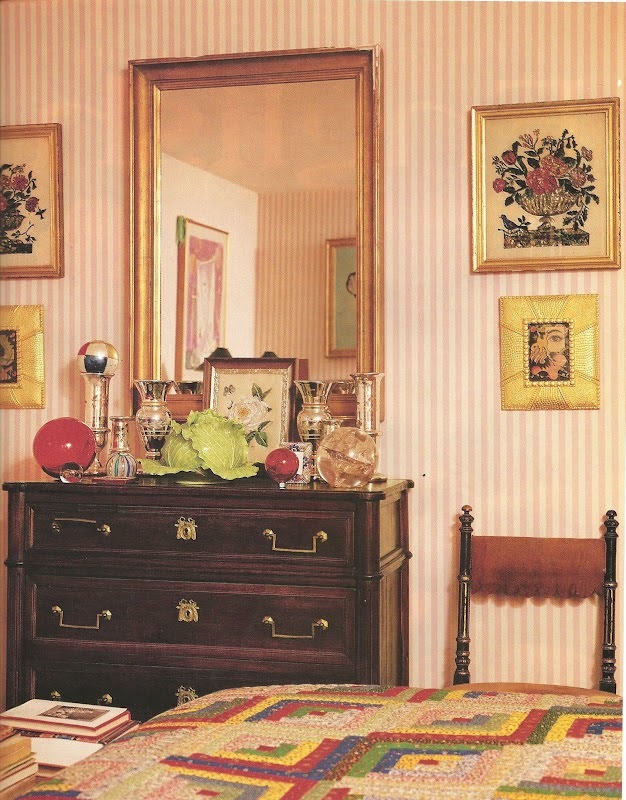 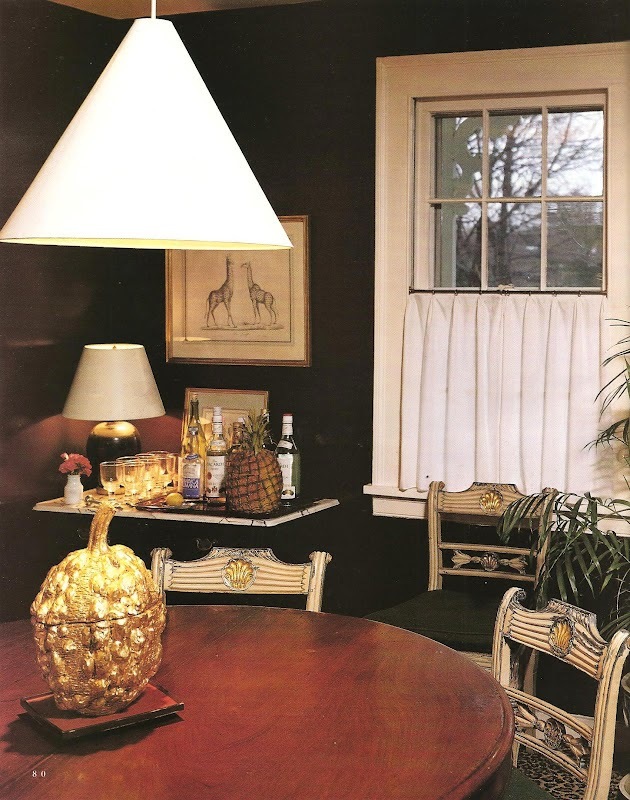 The images I've included below are ones that I've held onto.... House Beautiful published the interiors of Mr. Hadley's first home (above) in their October 1992 issue. 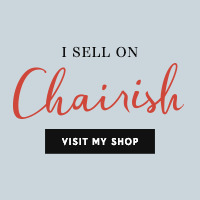 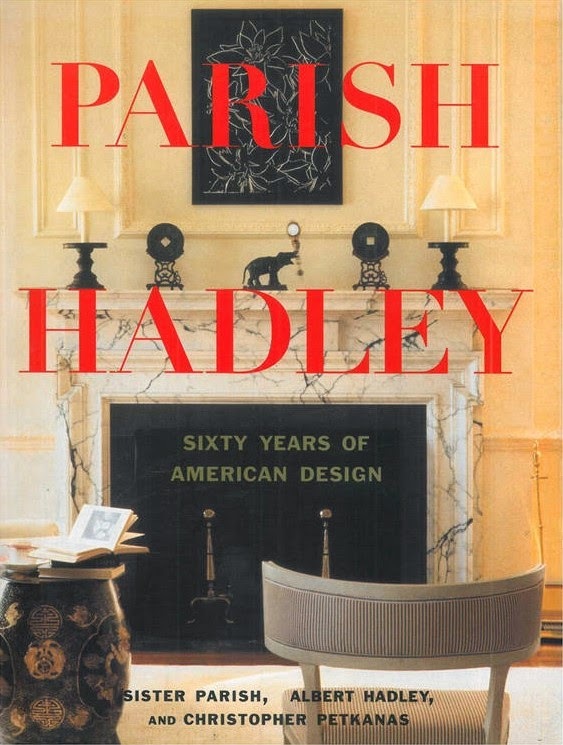 Additionally, if you are in need of a very special gift this Holiday season, I currently have an signed copy of Parish-Hadley: Sixty Years Of American Design available in my Chairish shop.